This Wednesday, the world’s best athletes and biggest stars will join host Danica Patrick for “The 2018 ESPYS Presented by Capital One” on ABC. The star-studded evening celebrates the best moments from the year in sports and will air live on ABC, July 18 from 8:00–11:00 p.m. EDT, from the Microsoft Theater in Los Angeles. 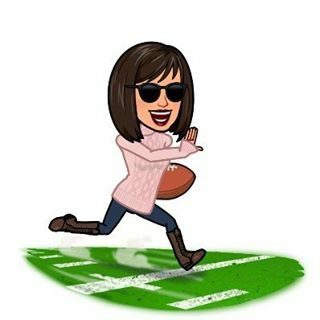 This year’s scheduled presenters include the following (in alphabetical order): Kate Beckinsale (“The Widow”), Chadwick Boseman (“Black Panther”), Alison Brie (“Glow”), John Elway (NFL HOF), G-Eazy, Jim Gaffigan (“Noble Ape”), Jennifer Garner (“Peppermint”), Olivia Holt (“Marvel’s Cloak & Dagger”), Trevor Jackson (“grown-ish”), Allison Janney (“I, Tonya”), Dan Marino (NFL HOF), Adam Rippon (Olympian), Mikaela Shiffrin (Olympian), Jon Stewart, Jessica Szohr (“The Orville”), Russell Wilson (Seahawks) and more. In addition, top athletes and celebrities scheduled to attend include the following: Jay Ajayi (Eagles), Nelson Agholor (Eagles), Antonio Brown (Steelers), Andre Drummond (Pistons), Julie Ertz (USWNT), Nick Foles (Eagles), Draymond Green (Warriors), Todd Gurley (Rams), Malcolm Jenkins (Eagles), Travis Kelce (Chiefs), Chloe Kim (Olympian), Von Miller (Broncos), Donovan Mitchell (Utah Jazz), Terrell Owens (NFL HOF), Candace Parker (Sparks), Sloane Stephens (Tennis), members of the gold medal-winning 2018 U.S. Olympic Women’s Ice Hockey Team and more. Brit Critics’ Choice Award winner Jorja Smith and cathartic pop singer/songwriter MILCK will perform during the show. Crown and the M.O.B. will return as The ESPYS house band. Additionally, Philadelphia Eagles’ Zach Ertz and Los Angeles Sparks’ Nneka Ogwumike will present the Capital One Cup to Tomas Hilliard-Arce from the Stanford University Men’s Soccer Team and Melissa Lord from the Stanford Women’s Tennis Team. 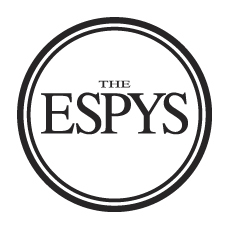 “The ESPYS” gather top celebrities from sports and entertainment to commemorate the past year in sports by recognizing major sports achievements, reliving unforgettable moments and saluting the leading performers and performances. “The 2018 ESPYS Presented by Capital One” will recognize achievements in categories such as Best MLB Player, Best Team, Best Female Athlete and Best Upset. Inspiring human stories are showcased through three pillar awards – the Arthur Ashe Courage Award, the Jimmy V Perseverance Award and the Pat Tillman Award for Service. “The ESPYS” support ESPN’s ongoing commitment to the V Foundation for Cancer Research, launched by ESPN with the late Jim Valvano in 1993.